An Intrafund Transfer (also known as a Report of Transfer) happens when you stop working for one employer and are hired by a new employer in a job that falls under the same retirement system. You continue to contribute to and earn service credit in the same account. You must meet all the eligibility requirements of the PERS with the new employer. If there has been a break in service of more than two years since your last pension contribution, you cannot contribute to your prior PERS account. An application will be submitted to enroll you in a new PERS account under the membership tier in effect at the time you return to PERS employment. However, if you are vested in your prior, inactive PERS account, you may be able to transfer your old account to your new one. This type of transfer is called a “Tier-to-Tier Transfer.” The member must submit a Tier-to-Tier Transfer Form at the time of enrollment. It is important to note that by submitting a Tier-to-Tier Transfer, you waive all rights to retirement benefits under the original account. Additional rules and restrictions apply to Intrafund Transfers. See the retirement system Member Guidebooks for detailed information. An Interfund Transfer happens when you start a new job that falls under a different retirement system. This can be with the same employer or a new one. Your contributions and service credit are transferred from the former retirement system to the new one. You must complete the Application for Interfund Transfer within 30 days of the date you meet the eligibility requirements for the new retirement system. Additional rules and restrictions apply to Interfund Transfers. Since your retirement allowance is based partly on the amount of service credit posted to your account at the time you retire, purchasing additional service credit – if you are eligible to do so – may increase your pension amount or let you retire sooner. Only active members of the retirement system are permitted to purchase service credit. Members on a leave of absence must return to active employment before they can request to purchase service credit. To hear a Purchase Estimate over the phone, call the Automated Information System at (609) 292-7524. Estimates are based on your current posted salary. 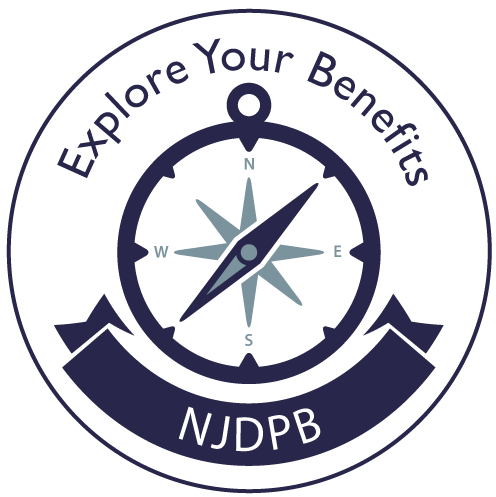 However, when the actual purchase cost is calculated by the NJDBP, your highest pensionable salary will be used. Members requesting the purchase of Leave of Absence for Union Representation. See Application to Purchase Service Credit for Union Representation for more information. Members applying for a purchase fewer than 30 days before their retirement date or Board of Trustees approval date. The member must request a paper Purchase Application by emailing: pensions.nj@treas.nj.gov An application will be provided upon verification of the Board or retirement date status. Members without a valid board or retirement date will be instructed to apply using MBOS. If you have ended your New Jersey public employment, are not planning to return, and are not eligible to retire, you may withdraw your pension contributions. To withdraw the balance in a lump sum, you must no longer be working in any covered position. If you are a “multiple member,” you cannot withdraw until you have terminated all jobs covered by the pension fund. By law, if you are on a leave of absence granted by your employer, withdrawal is not allowed. If you have a Workers’ Compensation claim or litigation pending, or if you have been dismissed and you have an appeal pending, your application cannot be processed until we receive required information from your employer. To withdraw, you must complete the Application for Withdrawal through MBOS. Paper withdrawal applications are not accepted. Once you apply for withdrawal, your former employer will be contacted to complete the Employer‘s Certification for Withdrawal. Your withdrawal claim cannot be paid until your former employer has completed this form. Most members are covered by Group Life Insurance benefits. Noncontributory Group Life Insurance is provided by the employer through the retirement system. There is no cost to the member for coverage. Contributory Group Life Insurance is coverage where the member pays a premium through payroll deductions. Conversion – When you retire, go on a leave of absence, or terminate your employment, coverage ends 31 days after you stop working. You may be eligible to convert your coverage to an individual policy. See your plan Guidebook for full details about Group Life Insurance. Paper Loan Applications are not accepted! Members must submit loan requests through MBOS. You can see your eligibility, the maximum amount you may borrow, and calculate various repayment options. Once you apply, you will receive confirmation that your Loan Application is received along with the date your loan check will be mailed. For complete information about pension loans, see our Loans Fact Sheet or our Pension Loans page. Additional information on retirement can be found on our Publications page.